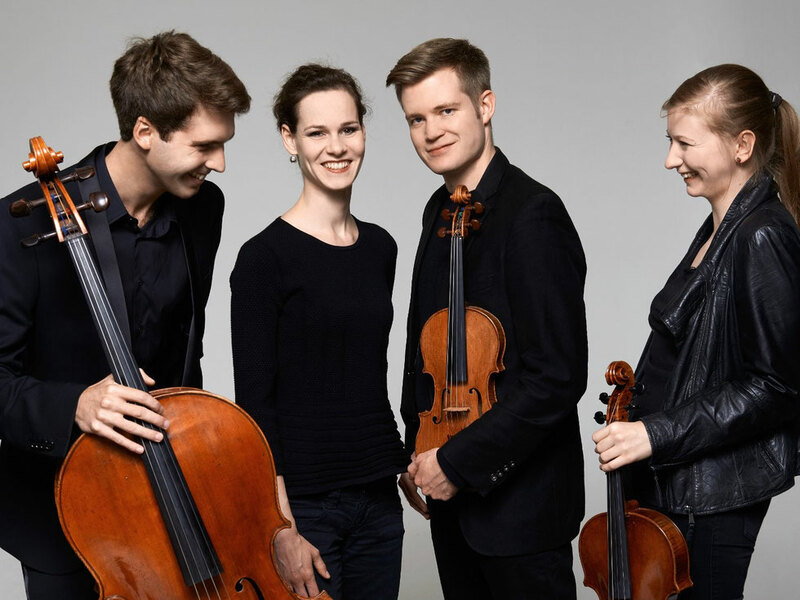 Antonia: We founded the Notos Quartet in 2007 and were since then the union of four young musicians who simply love and live for chamber music. Sindri: We believe chamber music to be the most communicative and satisfying way of making music and we really love what we do. Our only goal is that this love and joy transmits to the audience in concert. Was there any experience or encounter particularly important for your musical development? Antonia: We have had the privilege of working with some of the most significant chamber music figures of our time, such as members of the Alban Berg, Guarneri and Mandelring Quartet as well as the Beaux Arts Trio. Fortunately we are currently under the guidance of Günter Pichler, the primarius of the Alban Berg Quartet. Sindri: We are always very curious if we can discover new pieces for our genre! For instance there are gorgeous works by lesser known composers that nobody knows about. We’d like to change that. Andrea: There are great piano quartets throughout the centuries of the classical, romantic and modern periods. We enjoy discovering all kinds of styles and different musical languages and therefore feel at home with any kind of repertoire. Philip: This summer we are invited to a festival of new music in Italy where we will be performing a new piece by Claus Kühnl - working on the piece with the composer himself. And in November this year we’ll be premiering a new piece dedicated to the Notos Quartet by the British composer David Paul Graham during a concert tour to the UK. Antonia: Discussions are essential to a fruitful rehearsal process! Without them you can’t achieve a profound and personal interpretation. Sindri: We all live in Berlin and work together full time. In your opinion, what is your strenght in your playing? Philip: We would like to take our audience on a journey. They may enjoy a playful Mozart as much as a ferocious Dvorak or an exhilarating Turina. We want them to be inspired and move them. Do you have any hobbies? Do you like reading? Sindri: Yes, but we also like all sorts of other things! We sometimes cook dinner together and enjoy watching a good movie..
Andrea: And we love travelling, - fortunately our concerts lead us to all kinds of places around the world. Philip: We especially look forward to our Notos Chamber Music Academy that will take place in October this year. 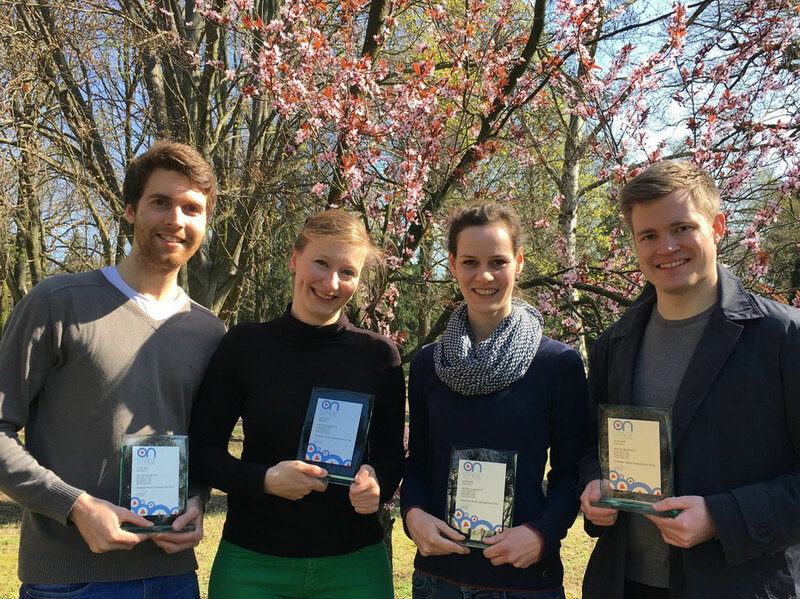 During one week students not only receive individual instrumental and ensemble lessons, the NCMA also offers its participants the unique opportunity to play chamber music – together with members of the Notos Quartet. Antonia: And we are exited to record our first CD very soon! It’s an extraordinary programme including a piece by one of the greatest composers of the 20th century that we were able to rediscover during the last year. We’ll keep you up to date on this and all further upcoming projects on our website www.notosquartett.de.